Dealing with your elderly parents can be difficult. It gets even harder when you’re getting up there in age yourself. But our sandwich generation has so many more tools available to us than those caregivers that came before us. Now, elderly parents can stay in their own home longer thanks to technology. Not only can tech help them to navigate their home differently as their abilities change, but it also lets the caregiver keep tabs remotely and get notifications if something goes wrong. The capability to provide remote care can alleviate a lot of guilt for adult children who have other obligations as well. We have many Alexa-enabled devices that have automated everyday tasks around the house and have made life easier for both my aging mother and myself. This personal assistant gives my mom lots of entertainment options – like playing her favorite radio station, providing interactive games like Jeopardy, and answering questions about places to eat and the local movie times. All of this information and entertainment is accessed simply asking questions by voice. Alexa can also provide the latest news headlines, play mom’s favorite podcast or even one of her audiobooks from Audible.com (a separate subscription is required – Try Audible and Get Two Free Audiobooks). Audiobooks are perfect for older folks who have a hard time reading books because of eyesight issues, Mom can even fast forward, stop, pause, adjust the volume and more by telling Alexa what to do. Beyond the fun stuff, Alexa can provide some serious safety assistance as well. For example, we enabled the Ask My Buddy skill. With this free 3rd party skill (Alexa’s word for an app), my mom can call for help just by saying, “Alexa, Ask My Buddy to call Connie.” By entering my contact information into the Ask My Buddy website and connecting it to our Alexa account, mom can send out a message via text, email, or telephone with her voice. The free skill allowed us to set up multiple groups and individuals so mom can ask for the help she needs. For example, if she should fall and not be injured but and need help getting up, she’d want someone who lives nearby. In that instance, she’d say, “Alexa, Ask My Budy to call Mike” and only Mike would receive the alert. If it was something more serious, my elderly mother could ask to contact everyone on the list the hopes that someone would respond immediately. She’d say, “Alexa, Ask My Buddy to call everyone.” Every person on her contact list would be notified. Please note that Ask My Buddy is not a substitute for 911, it only reaches the people you’ve provided information for previously. UPDATE 9/21/17: Alexa can now send texts and messages for you – I’ll cover these new features soon. As we get older, it becomes too easy to forget important things, and that can cause some safety concerns. One of the first signs that someone may need care is a burnt coffee pot or a pan that’s left on the stove until it’s empty and catches on fire. One way to combat this and keep it from happening as long as possible is to use Alexa’s timer function. I use it myself many times during the day. When I start the sprinklers, I say, “Alexa, set a sprinkler timer for 30 minutes.” That way I don’t make the mistake of leaving the water running all day, and when the timer goes off, I’m reminded what I set it for. I also use Alexa’s alarm function to remind myself to take my medication. This voice-controlled schedule setter is particularly useful as many senior citizens take several medications throughout the day and often they must be taken at a particular time of day. Alexa can also sync with your calendar so you can set appointments, tasks, reminders, and more with your voice. It’s one of my favorite features! 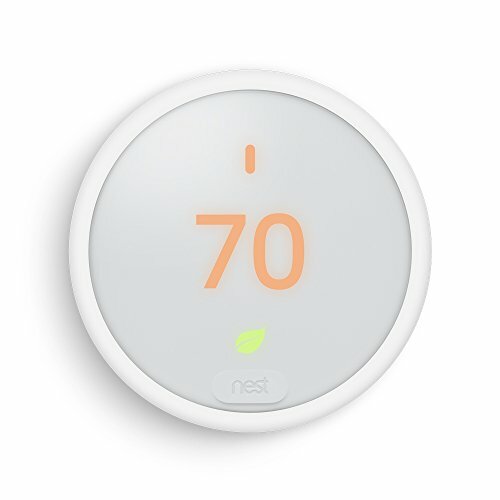 Compatible connected thermostats let you adjust the room temperature by voice command, and it can be connected with the weather skill so that the room is kept at an appropriate temperature automatically. This gives the added security of making sure the room doesn’t get too hot or too cold. 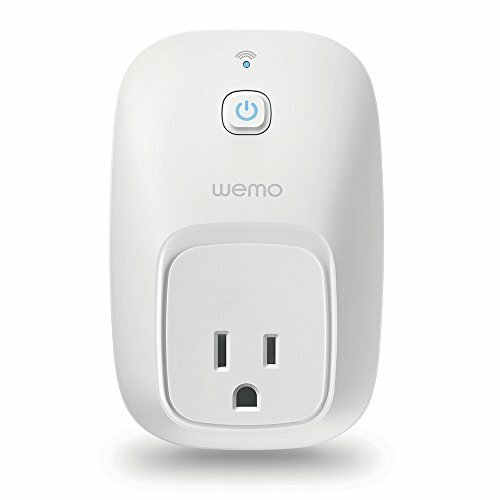 Additionally, there are many different types of connected plugs available that can remotely turn off the lamp or small appliance that is plugged into them. That means your iron, coffee pot, curling iron, hot glue gun, or other items that you frequently forget to turn off can be done remotely via the Alexa app or by a voice command to any Alexa listening device in the network. That means there’s less of a chance for an accidental fire. That’s some pretty inexpensive peace of mind insurance. There’s so much more that Alexa and Alexa-enabled devices can do to help you keep your elderly parents in their home and safe as long as possible. Alexa is learning more every day, and 3rd party providers are seeing a need to develop skills that do more than entertain. I’ll share with you soon why we were first in line for the new Amazon Show and how its Drop-in feature works perfectly for checking up on each other in our home and remotely. This great little gadget will someday soon be an easy way for our granddaughter to video chat us whenever she likes. We’re just waiting for her to start talking!